Individuals with special needs require unique instruction by specially trained professionals to prepare them to access the same opportunities (e.g., education, employment, and community engagement) available to their non-disabled peers. The Special Education Concentration provides advanced expertise for educators, administrators, and other professionals providing services to individuals with special needs. Students select one of the following areas of emphasis: applied behavior analysis, assistive technology, students with disabilities who access the adapted curriculum, students with disabilities who access the general curriculum, autism spectrum disorders, blindness and visual impairments. Students work with a Special Education advisor to select 18 credits of Special Education coursework in their chosen area of emphasis. Delivery format: Students may choose between a face-to-face or online format. Face-to-face courses are held at the Fairfax campus. Students must begin the ABA courses in the fall semester. Two ABA courses are offered each semester (fall, spring, summer). In-state tuition and the VA Educator Discount are available for those who qualify. The online format provides asynchronous courses in an 8-week modular calendar. Students take one course each 8 weeks. The online ABA courses are not eligible for in-state tuition or the VA Educator Discount. Tuition price is $775/credit for online ABA courses. When taking ASTL Core courses, students transition to the standard calendar and tuition pricing. ASTL Core classes are eligible for in-state tuition and the VA Educator Discount is available for those who qualify. Delivery format: Assistive Technology courses are offered 100% online. 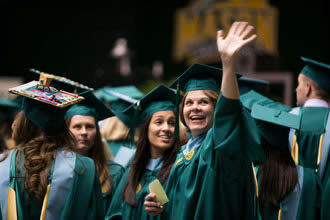 In-state tuition and the VA Educator Discount are available for those who qualify. Students may start in fall, spring, or summer. *Students must choose an elective course from among the other ASTL Special Education emphases to complete the required 18 credits. Delivery format: Offered 100% online. Asynchronous ASD courses are offered in an 8-week modular calendar. ASD courses are not eligible for in-state tuition or the VA Educator Discount. Tuition price is $775/credit for ASD courses. When taking Core courses, students transition to the standard calendar and tuition pricing. Core classes are eligible for in-state tuition and the VA Educator Discount is available for those who qualify. Student should meet with a Special Education advisor to outline a program plan. Delivery format: Visual Impairments Licensure coursework is offered primarily online, asynchronous and synchronous, with a face-to-face weekend in Fairfax for hands-on education in orientation and mobility. In-state tuition and the VA Educator Discount are available for those who qualify. Students may start their Visual Impairments courses in fall, spring, or summer. Delivery format: Students with Disabilities who Access the General Curriculum courses are primarily face-to-face classes held at the Fairfax campus with some online course options. In-state tuition and the VA Educator Discount are available for those who qualify. Students may start these courses in fall, spring, or summer. Delivery format: Students with Disabilities who Access the Adapted Curriculum courses include face-to-face classes held at the Fairfax campus and synchronous and asynchronous online classes. In-state tuition and the VA Educator Discount are available for those who qualify. Students may start these emphasis courses in fall, spring, or summer.